So you don't live in Australia and couldn't get a free Cardboard viewer from that Optus giveaway a couple of days ago. Maybe you live in the US — actually our Analytics tell us that a nice majority of you do — and you'd like a chance to get your free VR viewer nonetheless. Maybe you're a fan of Conan O'Brien and maybe you've missed that Cardboard giveaway that he did last year. Now's your chance to pounce on your coveted freebie and grab it. Team Coco is giving away Google Cardboard VR viewers again this July, although the design is different and less playful than last year's orange haired cute avatar. But a freebie is a freebie so stop complaining and head over to the site to claim it. The giveaway is valid until midnight July 13 and only accessible to residents of the US aged 18 or above. There's a limit of one viewer per person and delivery may take between 4 and 6 weeks. 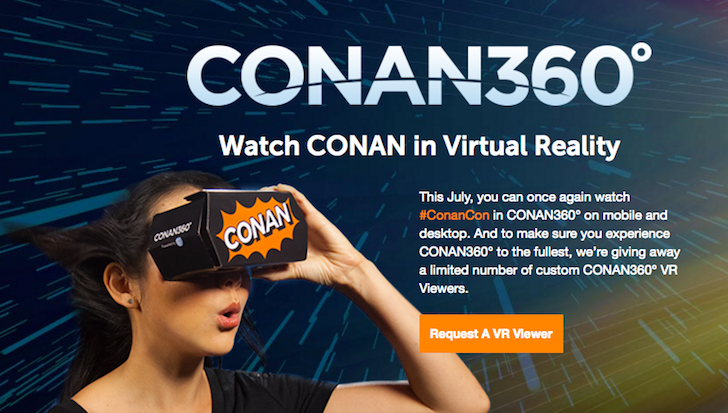 When you finally get it, make sure you check out the full Team Coco 360 site for all of Conan's VR videos.